Chanteur Bluegrass US né James Henry Martin, le 10 Août 1927 à Sneedville (Tennessee). Jimmy Martin est décédé le 14 Mai 2005 à Madison (Tennessee). 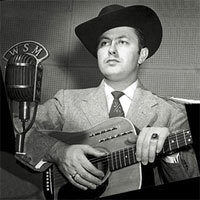 Blessed with a great tenor voice, traditional bluegrass singer and guitarist Jimmy Martin mastered his craft as lead Vocalsist for Bill Monroe's Blue Grass Boys for much of 1949-1951 and again in 1952-1953. Martin's Vocalss and his dynamic guitar playing both complemented Monroe perfectly, and in the opinion of many, he was the finest lead singer and guitarist Bill ever had. 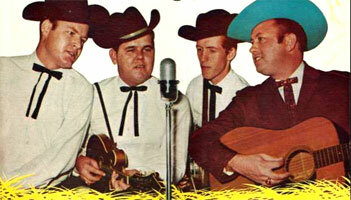 In 1951, between stints with Monroe's band, Martin joined with the Osborne Brothers, forming the Sunny Mountain Boys. 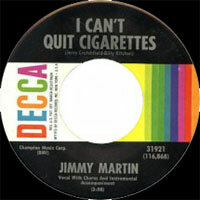 Though this association lasted only until 1955, Martin has used this band name up to the present. In keeping up such high standards over the years, Martin has hired numerous major-league musicians, including banjo players J.D. Crowe, Bill Emerson, Vic Jordan, Alan Munde, and mandolin player Paul Williams, all of whom subsequently made it big in bluegrass. 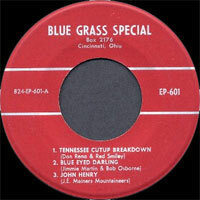 Martin is required listening for anyone with more than a passing interest in bluegrass. Martin was born and raised in the Cumberland Mountains of East Tennessee. As a teenager, he fell in love with Monroe's music, which inspired him to pursue a career as a singer. He began working at radio stations around Morristown, TN, to gain experience; he also worked as a housepainter to make ends meet. At the age of 22, he auditioned in Nashville for Monroe's band to replace Mac Wiseman, and he successfully passed the audition. For the next four years, Martin stayed with Monroe, recording 46 sides for Decca Records. In 1951, Martin briefly sang with Bob Osborne, which was captured on a series of singles for King Records. At the same time, he was a member of the Monroe side project the Shenandoah Valley Trio, which cut several songs for Columbia. Martin split from Monroe for good in 1954, joining Bobby and Sonny Osborne's duo as a lead singer. He stayed with the Osbornes for about a year, recording several sessions for RCA-Victor. 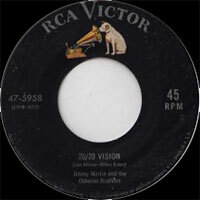 Jimmy left the brothers the following year, taking the band name Sunny Mountain Boys — which had previously been used by the Osborne Brothers — with him. In the spring of 1956, Martin signed with Decca Records and made his first solo recordings. Through his solo records and performances on the Grand Ole Opry and the Louisiana Hayride, Martin helped bring bluegrass into the mainstream. This was primarily because he concentrated on bluegrass that focused on the Vocalss, not the instruments. Within two years, he began charting in the country Top 40, beginning with the number 14 single "Rock Hearts." Throughout the '60s, he had the occasional hit single and became a staple of the bluegrass festival circuit. Over the years, Martin's Sunny Mountain Boys hosted a wealth of new musical talents, including Doyle Lawson, Bill Emerson, Clarence "Tater" Tate, Paul Williams, Alan Munde, and J.D. Crowe. Although the lineup of the band changed constantly, the quality of the musicians remained high throughout his career. In 1971, Martin sang "I Saw the Light" and "Sunny Side of the Mountain" on the Nitty Gritty Dirt Band's Will the Circle Be Unbroken, which helped increase his audience. 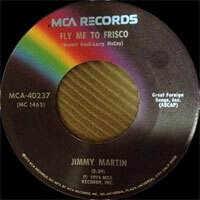 Martin parted from Decca Records in 1974, signing with Starday/Gusto Records shortly after his departure. He stayed at Gusto for nearly a decade, releasing six albums during his tenure at the label. 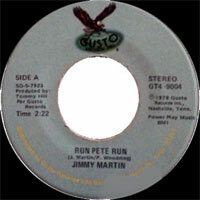 After Gusto went out of business in the '80s, Martin began his own record label, King of Bluegrass, which reissued his classic Decca recordings. Martin continued to perform concerts and bluegrass festivals into the '90s. In 1999 Martin was the subject of a biography titled "True Adventures With the King of Bluegrass." 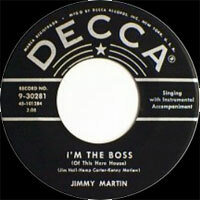 A few years later, in 2003, he became the subject of the documentary film King of Bluegrass:The Life & Times of Jimmy Martin. The bluegrass legend passed away May 14, 2005 after a long battle with cancer.